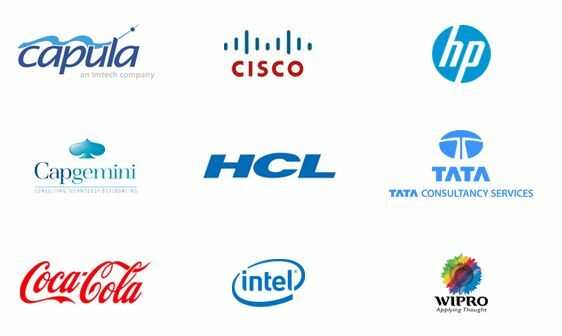 Read EML files of any email client like Mozilla Thunderbird, Apple Mail, Outlook Express etc. Used EML viewer for free which worked fantastically to open and view EML files. The easy navigation and advanced features make it unique. It is the best software in its category. Read all your EML file data in a safe and protective environment of Kernel for EML Viewer. Kernel EML Viewer tool is available for free download and use for the lifetime. Open your EML files without having any technical knowledge. 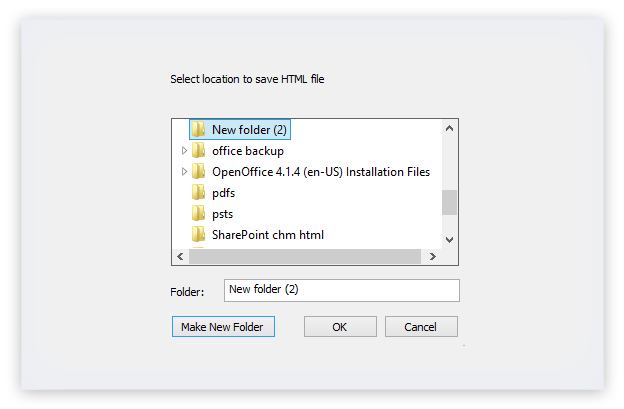 The tool is friendly to operate, with its three simple steps – select the file, view the folders, and save them. By default, the ‘recurse subfolder’ setting comes enabled in the tool, which allows automatic searching and scanning of all EML files, present on your machine. 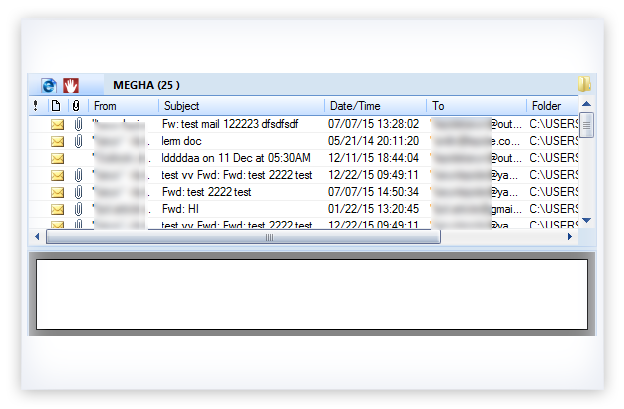 It displays all the contained subfolders from the selected folder, to make the data items viewable immediately. View your EML file data immediately, without having its native program (email client) installed on your machine. It gives freedom from installing each email client separately, like Mozilla Thunderbird, Windows Live Mail, Outlook Express, etc., to view their emails and items. Kernel EML Viewer is accessible on all Windows versions including Windows 10, 8.1, 8, 7, Vista, XP, 2000, 98, NT, and 95. After viewing the EML files, Kernel EML Viewer software also allows the saving of EML files in HTML format, for convenient future accessibility. 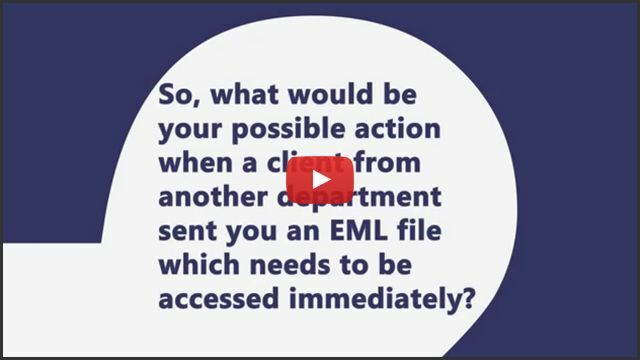 View your EML file data immediately, in three simple steps. SelectThe EML reader tool automatically scans all the stored EML files on your machine and displays them under the folder list. Select the respective folder from the list you want to view. ViewRead your emails in a spacious preview pane, and also you can arrange the preview, according to your preferences, like: attachment, subject, etc. SaveAfter viewing EML files, save them in HTML format for easy accessibility for the future use. 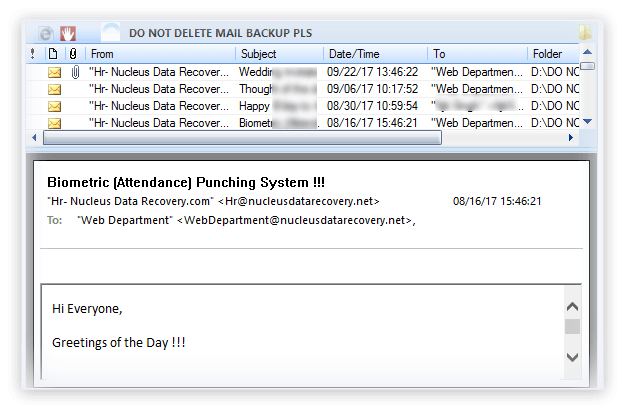 The HTML file is saved with a default name Nucleus Kernel Report. How to use Kernel EML Viewer? I'm overwhelmed with the kind gesture and hospitality that they offer to their customers. No other software has such control over the features and options like this one. I am happy that I found this amazing software now I worry for nothing when it comes to the data safety.